These are our standard notes to editors, along with a list of spokespeople, downloadable statistics and facts on brain tumours. They fund pioneering research to increase survival and improve treatment options and raise awareness of the symptoms and effects of brain tumours to get earlier diagnosis and to help families cope with everything that the diagnosis of a brain tumour brings. They also provide support for everyone affected so that they can live as full a life as possible, with the best quality of life. 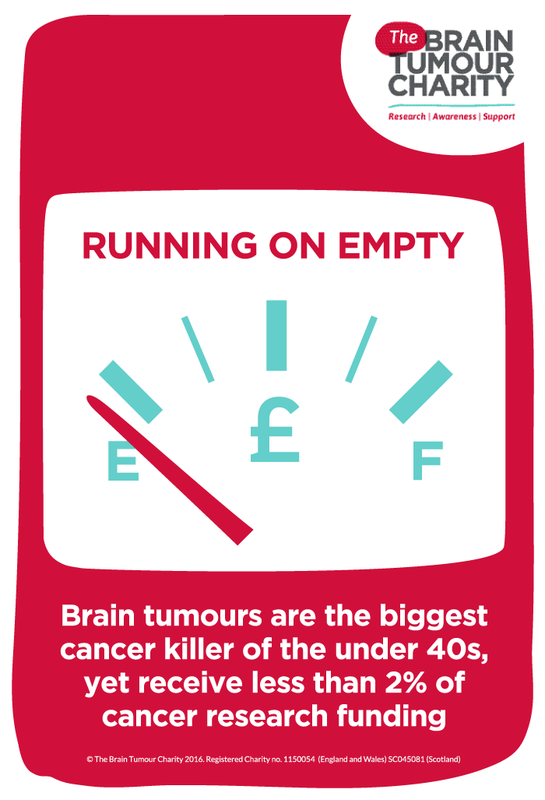 The Charity funds and promotes the UK-wide HeadSmart campaign, raising awareness of the signs and symptoms of brain tumours in children and young people to make earlier diagnosis a reality. 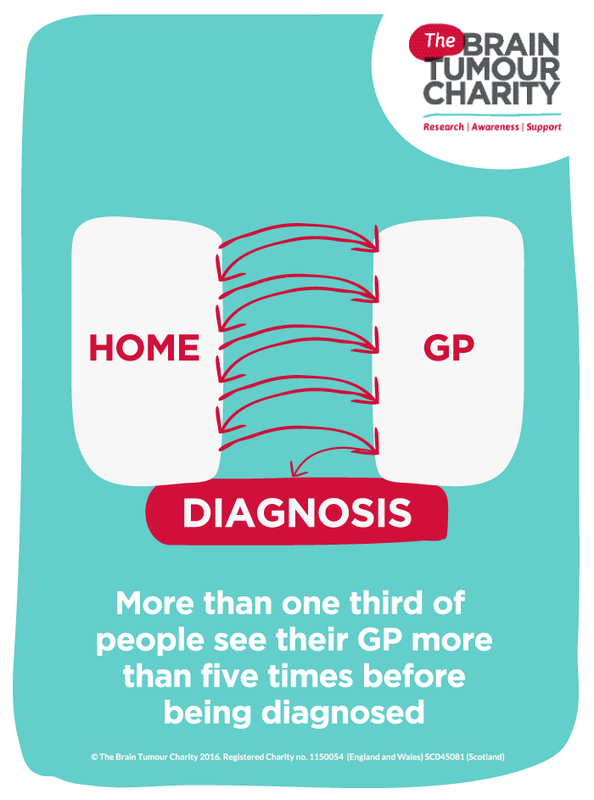 Earlier diagnosis will reduce long term disabilities and save lives. In just three years, HeadSmart has reduced average diagnosis time from 9.1 weeks to 6.5 weeks. Members of the Association of Medical Research Charities, The Information Standard, The Helplines Partnership and the Fundraising Standards Board. Please get in contact with the PR team if you would like to speak to one of our spokespeople regarding quotes, comments or for setting up an interview. Sarah has over 20 years experience in the voluntary sector and joined The Brain Tumour Charity in April 2011 from The Challenge – a leading provider of opportunities for young people run as part of the government's new National Citizen Service – where she was Director of External Affairs and Fundraising. Prior to this, she held the role of UK Services Director for The Duke of Edinburgh's Award. Sarah has previously held the roles of CEO for Caritas, a lobbying federation that addresses poverty and injustice, and CEO for Guildford Action a grass roots charity which helps those living in poverty. She maintains an active commitment to supporting social justice issues and is a regular speaker on voluntary sector issues. She also undertook research in family support and voluntary sector management at LSE and Cardiff University, after gaining a Masters degree in Voluntary Sector Management and a First Class degree in Social Policy. David has over 20 years' experience in oncology research after gaining a degree in biochemistry from Brunel University. He undertook a PhD at University of London before joining Cancer Research UK as a postdoctoral researcher. David then led the biology at a company developing therapeutics to control the switching 'on' and 'off' of genes in cancer. Professor Gilbertson sits as the Li Ka-shing Chair of Oncology, Head of Dept. of Oncology and Director of the Cambridge Cancer Centre at Cambridge University. He is also the chair of our Biomedical Scientific Advisory Board. David Walker is Professor of Paediatric Oncology and co-director of the Children's Brain Tumour Research Centre at the University of Nottingham. He is clinical lead for HeadSmart, the campaign to reduce childhood brain tumour diagnosis times, which was developed jointly by The Brain Tumour Charity, the Children's Brain Tumour Research Centre and the Royal College of Paediatrics and Child Health. 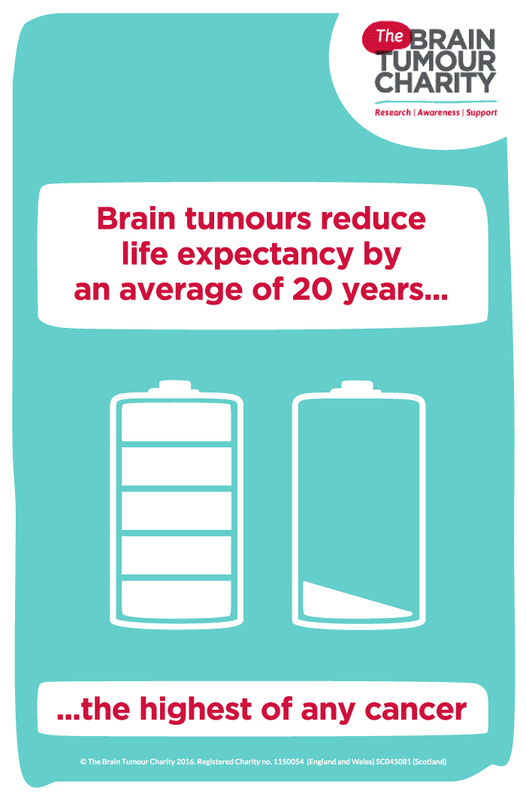 Since HeadSmart began, the time it takes on average to diagnose children's brain tumours in the UK has fallen from more than 14 weeks to less than seven. HeadSmart aims is to bring that figure below four weeks. Professor Walker is an expert in the clinical factors that affect brain tumour diagnostic processes as part of his main research strategy to "halve the harm" of brain tumours for children. Professor Susan Short is a clinical oncologist and clinician scientist with a specialist interest in treating adults with poor prognosis brain tumours. She trained at King's College London and then worked at Guy's and St Thomas's Hospitals and The Royal Marsden Hospital. She undertook a PhD in radiation biology at The Gray Laboratory, University of London in 1999 and has worked in clinical and translational neuro-oncology since then, as Senior Lecturer at University College London between 2007 and 2012 and since April 2012 as Professor of Clinical Oncology and Neuro-Oncology at the University of Leeds. She also runs the Translational Neuro-Oncology group at LICPS. This includes CRUK funded work focusing on the response of glioma cells to radiation and identifying new methods of radiosensitisation. She also supervises post-doctoral and PhD students studying other aspects of glioma biology funded through MRC, YCR and PPR projects, investigating glioma cell migration and the role of micro-RNAs in defining glioma phenotype. They have demonstrated the potential for sensitising resistant glioma cell populations to radiation and chemotherapy by targeting recombination repair and shown how commonly used drug-radiation regimes interact in causing DNA damage. Professor Short has also developed and run clinical studies addressing novel treatments for glioma and meningioma and was Chair of the NCRI Brain Tumour Clinical Study Group in the UK between 2006 and 2011. They have recently shown that state of the art radiotherapy is a very effective treatment for meningioma in the base of skull and are currently investigating the benefit of using hydroxychloroquine as a radiation sensitiser for older patients with high-grade gliomas. Lewis Thorne is a consultant neurosurgeon at the National Hospital for Neurology and Neurosurgery in London, part of University College London Hospitals NHS Trust. His special interests include brain tumours, awake surgery and stereotactic radiosurgery (Gamma Knife®). He appeared on the Today programme in July 2015 to speak about the findings of our report, Losing Myself: The Reality of Life with a Brain Tumour. Mr Thorne can be contacted via our press team. This document provides provides some information about end of life care for people with a terminal brain tumour diagnosis, the Brain Tumour Charity's views on what should be made available, and what we are doing to address the issues raised. This document provides our position on proton beam therapy, a form of radiotherapy typically used to treat more complex tumours. This document provides an overview of the ketogenic diet, how it relates to brain tumours, and our position on the issue.